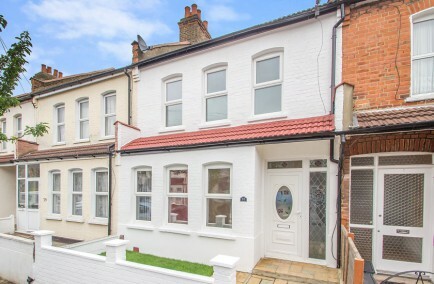 HT Estates is proud to present to the market this delightful 3 bedroom Victorian Terraced family house needs to be viewed internally to be fully appreciated. 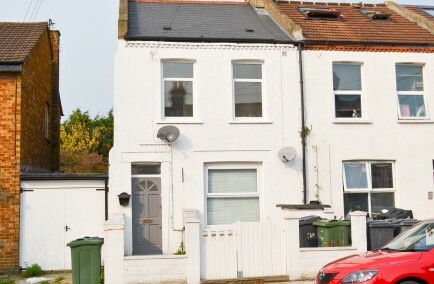 The spacious family home features three generous bedrooms and bathroom/toilet upstairs; the ground floor has spacious and bright reception rooms leading into the garden, an attractive fully fitted kitchen. Outside, there is a front courtyard and a 70ft rear garden with a garage at the end. 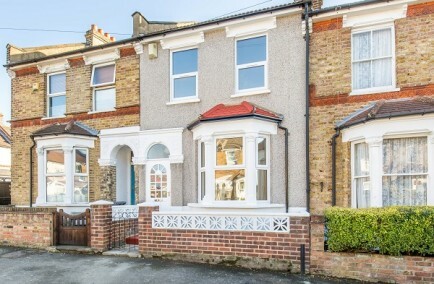 Minutes away from Croydon university hospital and excellent transport links into Central London and Croydon Town Centre alike. West Croydon British Rail Station is a mere 10 minute walk, with further options of using the local tram link services. Transport, leisure, schools, shopping, restaurants and nightlife facilities are easily accessible in the area. 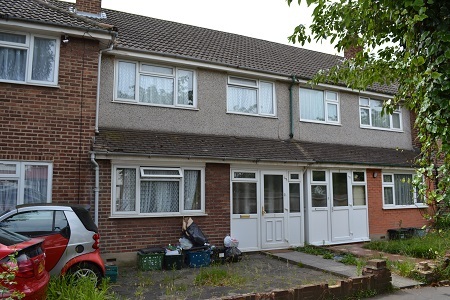 PROPERTY DECRIPTION GROUND FLOOR Reception 1: 15' 1” x 11' 5” (4.6m x 3.5m) Power points, double radiator, double glazed casement window. Reception 2: 10' 9” x 10' 9” (3.3m x 3.3m) Power points, radiator, sliding patio door into the garden. Kitchen: 11'9” x 5’ 10” (2.67m x 1.8m) Kitchen fitted with matching wall and base units, laminate worktops, single drainer stainless steel sink with mixer tap. Standard appliances, tiled floor, double glazed casement window. Storage: Ample storage space to the underside of the staircase. 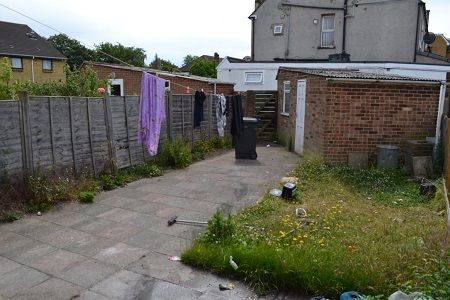 Rear Garden Approx. 70ft. 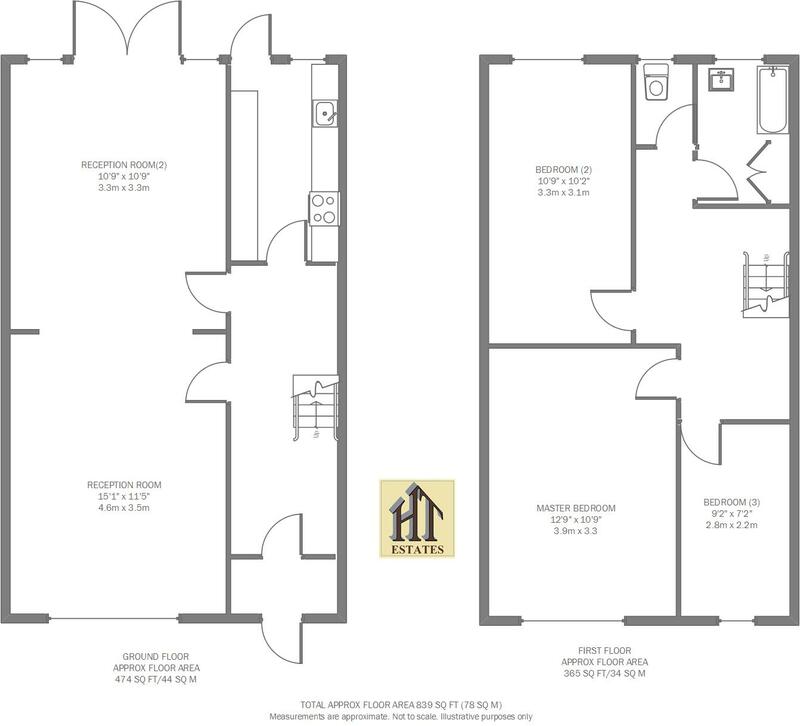 FIRST FLOOR Master Bedroom: 12' 9" x 10' 9” (3.9m x 3.3m) Power points, double radiator, double glazed casement windows. Bedroom 2: 10’ 9” x 10’ 2" (3.3m x 3.1m) Power points, radiator, double glazed casement window. Bedroom 3: 9’ 2” x 7’ 2” (2.8m x 2.2m) Power points, radiator, double glazed casement window. Bathroom: Good size bathroom with a bath, wash hand basin, WC, tiled walls and floor.